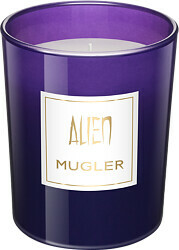 Experience the glowing aura of the MUGLER Alien fragrance like never before with the MUGLER Scented Alien Candle. 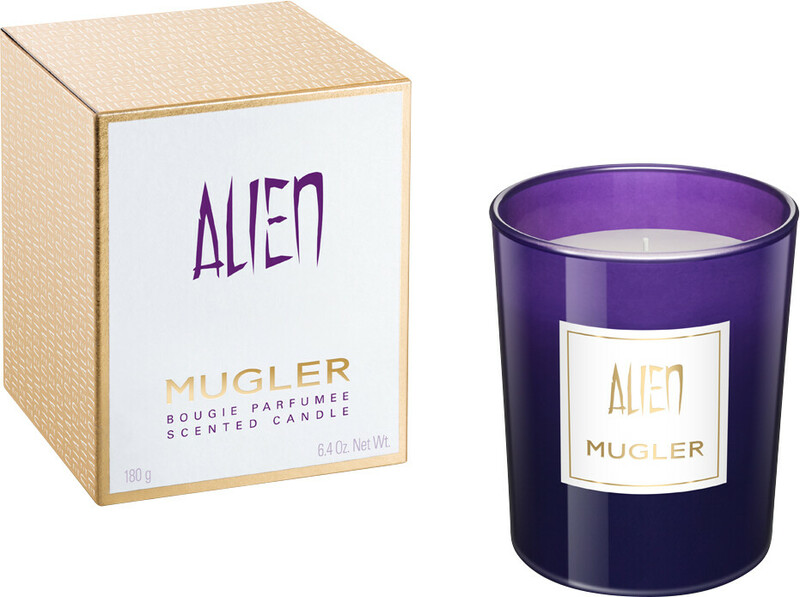 Infused with the feminine and seductive notes of the iconic Alien fragrance, the MUGLER Alien Scented Candle will make your home a perfumed haven. A must-have for someone that loves Alien or those that adore solar aromas, this scented candle will fill every room with an enchanting and celestial luminosity, marrying notes of jasmine sambac with sensual nods of cashmeran wood and white amber. 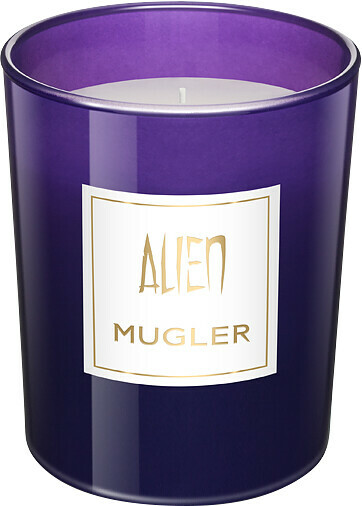 The perfect accessory for any home, the MUGLER Alien Scented Candle is presented in a beautiful purple, glass votive candle holder and is crafted from noble ingredients. Thierry Mugler Alien Scented Candle 180g is rated 5.0 out of 5 by 1. Rated 5 out of 5 by Classy71 from Alien scented candle Beautiful smelling candle,haven’t burnt it yet but smell from it is gorgeous,great size for money also ,would def recommend.